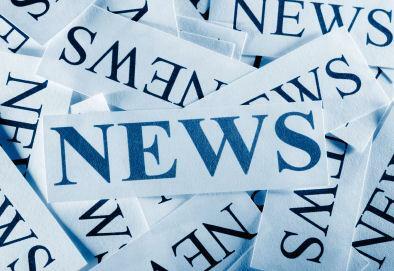 Economic data and news (news), including one of the drivers of the forex market; this is known to everyone. However, the way News affects the market is actually different from what most traders think. In fact, economic data releases not only have an immediate impact on the financial market, but a reflection of the country's conditions. In this context, it can be concluded that the impact of News is not only in the moment after it is released. The majority of beginner forex traders assume that the News will be directly reflected in price movements. Therefore, they then complain and question when the price does not move in the right direction, saying that News Trading is "impossible". For example, when GDP data decreases, the US Dollar actually strengthens, or flat without signs of faltering. Among all that, pairs related to the US Dollar have the tendency to be affected the most on the market. Also, the most bombastic impact news is usually released around the New York Session, because the market is the most crowded and volatile in this period. Not that there is no release of data that can be used as News Trading material at another moment; it's just that, this is the most profitable time. In accordance with the saying "High Profit, High Risk", then in the same direction, the potential loss is the greatest. It is clear that News Trading in these times will need a steady Money Management technique, if you do not want to be crushed by price movements in the market. One more misconception about the News Trading strategy among traders, namely that this technique can only be done around the time of economic data release. In fact, there are various types of News Trading strategies, and each trader can develop his own system in terms of determining exit and entry. Some traders place positions on two sides of the market before the release of important news using a technique similar to hedging. Here, traders open long and short positions pending in one pair of the same currency before release, but a new execution is launched after the news comes out. They may experience loss on the one hand, but are expected to get far greater profits on the other side. There are several variations of this type. The first variation, once the economic data numbers are released, the trader will take profit from the first trading position. At the same time, the trader leaves the other position which is loss for floating until the market returns to its normal path after the euphoria of the news release ends and the amount of loss decreases. The second variation, traders put a stop loss on both sides. Once the stop loss on one side is touched, the other winning position is left floating to get additional profit or liquidated as soon as possible, according to market conditions. This variation has been practiced by one of the authors of Seputarforex and his experience is set forth in the article Utilizing Market Efforia at Release News. A number of results of academic studies state that the impact of a number of economic data releases can extend to weekly or monthly periods, more than just one day when the announcement is made. Some of the big and long impact data are Non Farm Payroll and Federal Reserve interest rate decisions. Although the market reacts spontaneously, the consequences of the interest rate mechanism and employment conditions will remain in the long run in various economic sectors. That is, using these data as a basis for a long-term News Trading strategy is certainly possible. Traders who use this technique usually build their position little by little based on economic data released not too often, such as quarterly GDP. They also usually compile an update compilation and revision of other important economic data related to the pairs traded from time to time in order to determine whether the direction of the price movement of a currency or the forward pair is leaning towards bullish or bearish, then opening the position in the direction of the conclusion . Details like this seem to be behind the success of a number of world billionaires. To implement a News Trading strategy with profit goals in the short term, traders must first have a clear picture of what kind of News can be traded. In addition, a trading system contains criteria for conditions where entry and exit positions are installed also need to be arranged. Traders must be really disciplined in applying the methods that have been made. For example, as described in the Simple NFP Trading Strategy Ala Cory Mitchell. One thing that every trader needs to keep in mind is the element of market uncertainty. No matter how we have prepared the system, there is still a possibility of loss because conditions are not in line with expectations. Similarly in News Trading. The market reaction to any economic data is actually unpredictable. There is a possibility that the data will be released according to analyst expectations spread by financial news agencies, but there are times when the results of the release are far from estimates. Moreover, it is almost impossible to guess how volatile the market reaction is to a News Release. It could be that the market moves 50 pips, 100 pips, 200 pips, or just doesn't budge. The direction can continue the previous trend, it can also turn drastically, or just flat. Sometimes even 50 pips of movement are immediately returned by turning 150 pips. The cause of uncertainty is the number of speculators who play in the market and all intend to get instant profits. This will trigger a spread and the trading volume increases in a short time. However, at the same time, the technical background of price movements will fade. After a "ninja" trader leaves the market, it is the turn of Momentum Traders to jump into the market and compile short-term trends. All of this does not mean that News Trading is impossible or difficult. News Trading is not much different from the technique of finding opportunities in other forex markets. What a trader needs to keep in mind is that he is involved in a probability game. He needs to understand that he cannot ensure the market moves in a certain direction, so that Money Management and proper risk control need to be implemented. Stop loss should not be too tight, while Leverage and Position Size combinations should be moderate. Will it open a position only if the data has triggered turmoil on the market? How big is the fluctuation (in pips size)? Or opened before the turmoil appeared? How much is the estimated data threshold, and will the trading position be opened above, below, or between the two? How long will the trading position be left floating? At the technical level where will Take Profit and Stop Loss be placed? 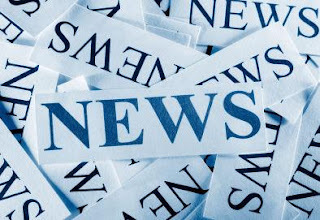 The News Trading strategy needs to be made before the time of the news release. When the anticipated moment arrives, traders need to move like a full EA robot automatically obeying the strategy, so that it is free from market behavior that is often irrational and wallowing in euphoria. 0 Response to "Secret and Reality of News Trading Strategy"